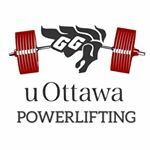 Weâ€™re excited to announce that we are officially a club with the University of Ottawa! We have some exciting stuff planned for all of you lifters, but even if you donâ€™t lift â€” donâ€™t worry because you can still join. We are a club looking for all levels of lifters. Don't be shy -- we don't bite hard! We are looking to have fun, learn some new things and give some advice/tips to new or beginning lifters.